Need CERPs? Sitting the IBLCE Exam? Want professional development points? Health e-Learning specializes in providing courses for professional development for Lactation Consultants and health professionals, and exam preparation courses for International Board of Lactation Consultant Examiners (IBLCE) exam candidates. Our courses provide the highest standard of evidence-based education at a time and place that suits you. Browse our courses below, enroll and start straight away. Click on a course title below to read more. Lactation Exam Practice comprises a series of multiple choice questions designed to simulate the style of questions candidates of the IBLCE Examination will face. The questions cover the topics examined by IBLCE. This practice exam is an integral part of the final preparations for future IBCLCs and recertifying IBCLCs. Experts-in-Lactation Lectures are recorded presentations on a range of lactation topics by Lactation Professionals from around the world. The easy format lets you watch and listen as though you were in a lecture, then repeat the lecture as many times as you wish during your enrollment period. All the lectures will award CERPs for Lactation Consultants and you will have access to the recording for one week from the time you enroll. Please note: The lectures use Adobe Flash technology - Apple devices such as the iPad or iPhone do not support Flash and you would not be able to view them using these devices. XL25: Lisa Marasco: Playing Detective: Assessing for insufficient milk supply. XL46: Louise Dumas: Baby-Friendly Initiative: Why Bother? 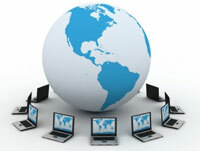 The courses in this series give a basic introduction to their subject matter. Medical Terminology will meet the IBLCE exam prerequisite for those requiring this subject. Child Development will refresh your memory of this subject. Note that this will not meet the IBLCE exam prerequisite of a semester-length course in this subject for first-time exam candidates. The cost of each course is $US42. 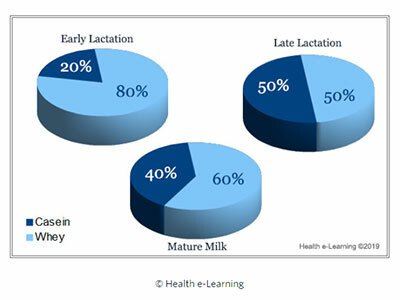 Advanced Practice Series are short 4 hour courses on a range of lactation topics. These courses have been reviewed for accuracy and relevance by leading lactation professionals and academics. This series examines specialist topics or advanced knowledge and are ideal for extending your knowledge. Each course is worth approximately 4 CERPs after you complete a simple quiz online at the end of the course. Ethics for Lactation Consultants introduces students to the theories of ethics, and gives them a thorough understanding of their responsibilities in relation to the IBLCE Code of Ethics and the International Code of Marketing of Breast-milk Substitutes (WHO Code). It is accredited to provide 5 ECERPs.